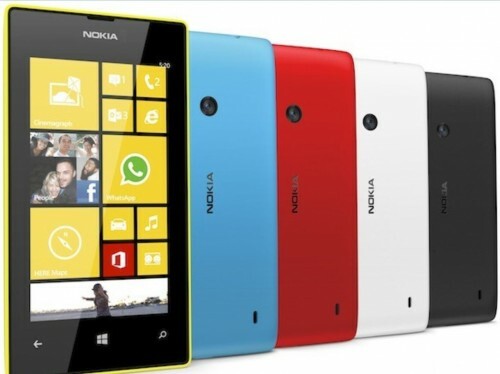 Wondering how to create windows phone app the easiest way without any coding/programming skill? 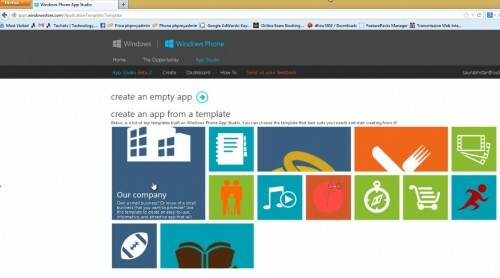 In an effort to boost windows phone platform with developers’ score, Microsoft has launched Windows Phone App Studio. 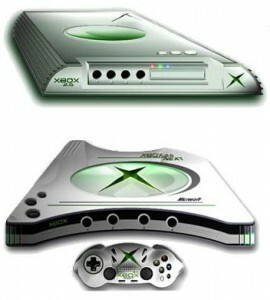 It may seem to be a software bundle, but it’s not. It is an easy online web-based tool/website that helps you create apps for windows phone in wizard-like guide with no requirements for coding knowledge. This free service will allow developers to convert their idea into apps by applying their design concepts, text, images, feeds to customizable templates. The apps created using windows phone studio can be downloaded on to user’s phone or published onto windows store so that any wp user can download it from the store. If the user wants to publish his/her apps to windows store, he has to open a developer account for which there is limited 19$ Summer Break promotion ongoing. So, the developer has to pay this one-time developer registration fee. Go to Windows Phone App Studio (apps.windowsstore.com) and Click on Start Building button. Use Internet Explorer 10 for the best result as recommended by Microsoft. To proceed with creating amazing windows phone app, you need to sign in with Microsoft account (outlook, hotmail or others). You’ll be prompted to choose your username. And then you can start creating apps, either from scratch or from templates presented there. 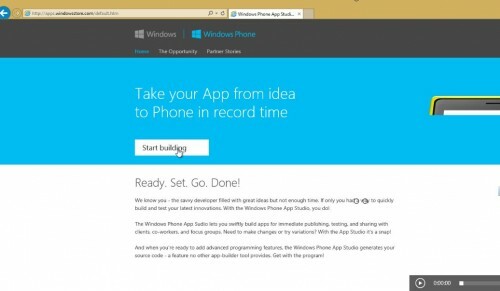 Windows Phone App Studio is in beta stage. At the time of writing this post, I tried it, but unfortunately it’s not working. I’m able to login to app studio. 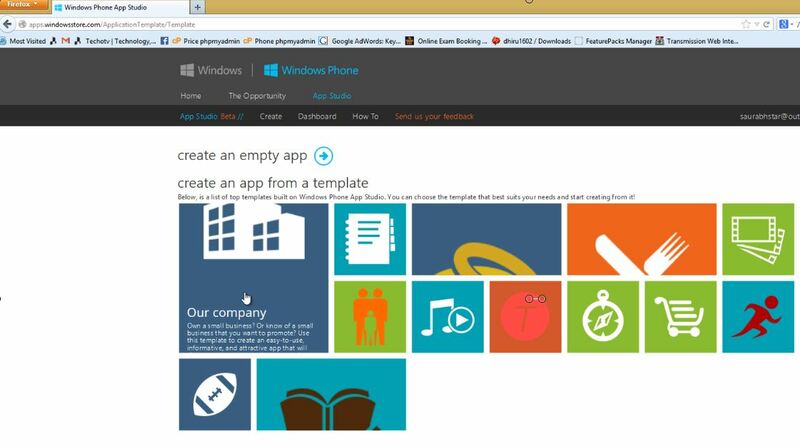 The app studio presents option to create an empty app from scratch or choose from 13 templates that allow you to personalize your windows app by customizing them with your own text, names, story, images, videos and ideas. These templates are interesting. Company template for adding your brand details, employee details, blog rss feeds, etc. Storyteller template to share your favorite story, characters, description, etc. Movie reviews template to create an app with movie reviews, cast and character details. Sports, Music, Band, Personalized health training, etc are other templates available as of now. I tried to create an app via either of these options (templates or empty app) but it kept presenting me Internal Server Error 500. I tried it in Mozilla Firefox as well as Internet Explorer. It looks like Windows Phone team is not at all prepared for the rollout and still few problems are there. The problem seems to be server (host) related problem and should be corrected shortly. Since I’ve not been able to do a test of this new Windows phone app studio, I can’t really put out my verdict as how usable this is. 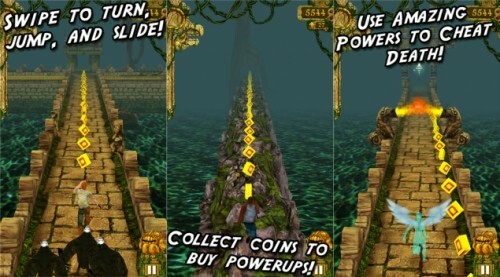 Many people want mobile apps but think it is too hard to create them. Fortunately now there are quite a lot of useful online services which allow building apps without programming skills and in hours. I am using SnAPPii at the moment and really glad I can feel like a mobile app developer and make apps on my own. Both native and HTML5 apps can be created.